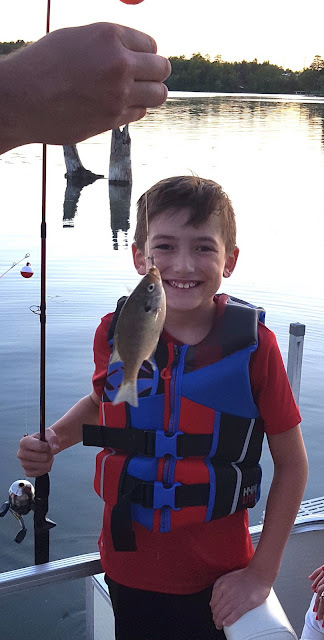 Alex caught this fish at the north end of Long Lake (east side) on the evening of June 5th. He and his sister, Ella, were fishing together with their parents and grandparents. He used night crawlers as bait for catching many sunfish and rock bass. He loves catching fishing and eating them. The 2017 Kids' Fishing Contest is Ending Soon!